In “The Kingdom”, the disturbing film by Lars Von Trier for the Danish television, one watches the slow and corrosive dark forces of existence ( the removed of the scientific progress) insinuate in the cracks of the realized welfare state, the emblem is the obsolete sense of the architecture of a hospital, the kingdom. It is like to say that the trust in the applied progress had the shortness and brightness of a Danish summer and now one returns to falling into the Kierkegaard horror vacui, but at least with humor. 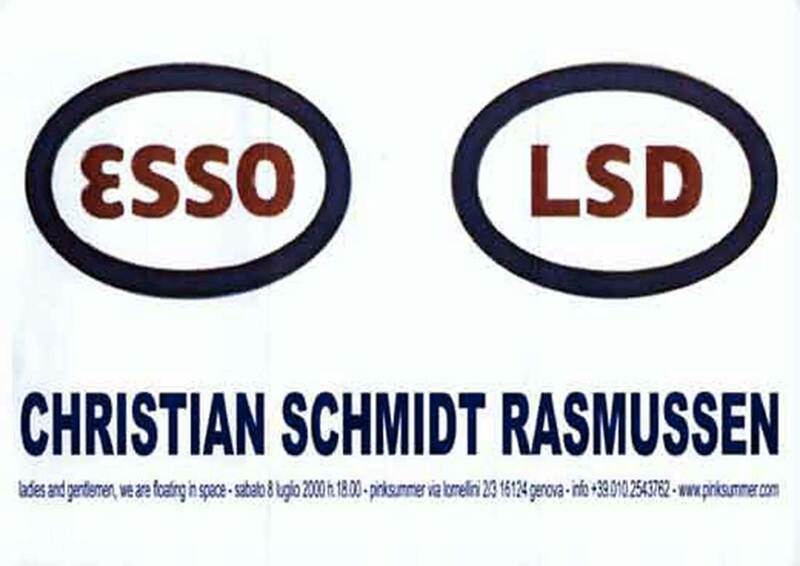 It is the case of Christian Schmidt Rasmussen who, obsessed by the narrative practice, accompany by his comic and somewhat science fiction style with short story narratives, for example we are living on the ruins of a glorious future, like the painting with the little horse with the abstract -cubist nose exhibited at Newsantandrea some time ago. The fulcrum of the work by Rasmussen is in the relation, complimentary and antithetical, between the pleasure of visual representation and that of the dark verbal type; and when this last is absent between the happiness of style and the vibrating melancholy which shines out from the illustrated stories. The humor of Rasmussen pops out from irreconcilable of the opposites, like the comedy which sometime gives birth to the tragedy and destinies which are turn inside out like a pair of gloves and no welfare state can do without – it happens and that’s it. The excited chromatics of Rasmussen’ s world is a concentration of the unarmed despair, in this sense the visual agreeableness of his work could also be a sort of deceit to attract the sympathy of the public and to reverse on him, with grace, a little of the lead heavy Danish pessimism. The communication, of which the artist feels an urgency, doesn’t have, in this case, any other finality than to approach a body to feel a little warmth, and it doesn’t few. Rasmussen is presenting at Pinksummer sixty watercolors on paper, some for the first time and others recently exhibited at the Badischer Kunstverein in Karlruhe.